In accordance with the Companies Act 2014, we have adopted the required changes in our constitution, incorporated status and subsequently, our company name. H.O.P.E., Hands On Peer Education is no longer ‘Limited By Guarantee’ and is now a ‘Dedicated Activity Company’. The Companies Act 2014 was signed into law in December 2014 and was expected to commence on Monday, 1 June 2015. Until then, companies remained subject to the existing Companies Acts 1963 to 2013. The 2014 Act consolidates, with reforms, the 18 Acts and 15 statutory instruments from the past 50 years into one single piece of legislation. With many, many thanks to A&L Goodbody, we have successfully made the transition and adopted the prescribed changes as required by the Companies Act, 2014. We would like to take this time to say thank you to A&L Goodbody for taking the time to support us with the legal requirements of complying with the Companies Act 2014. The required changes demanded the arrangement of a massive volume of legal documentation – which is a huge workload for a small project. Thanks to the kind and gracious efforts of our neighbour, A&L Goodbody, we have successfully effected the changes required by the Companies Act 2014. 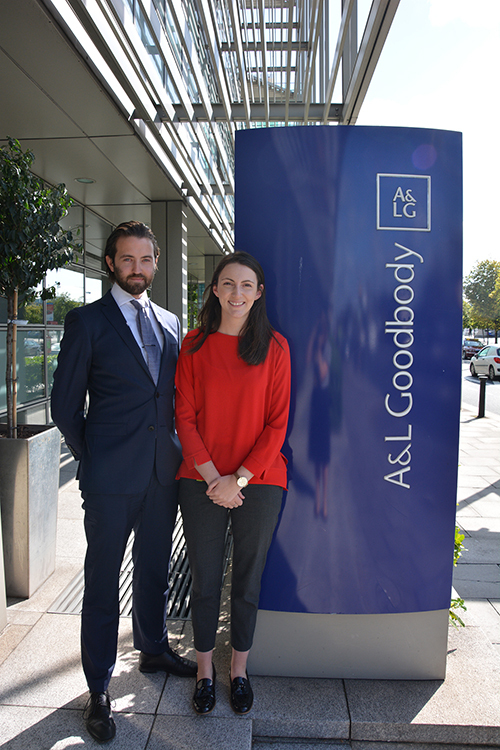 Specifically, we would like to say thank you to Sinéad Rooney & Mark Cusack of A&L Goodbody. For taking the time to arrange for, follow up on, prepare for and deliver the required legal documentation to facilitate this change in our organisation. As such, we have been able to continue to focus on supporting the community and will continue focus on supporting the community break free from addiction. Hands on Peer Education, is a front-line service in the north inner city, where those suffering with addiction and their families can get access to much needed support and treatment options. H.O.P.E. facilitates and advocates for recovery through abstinence. 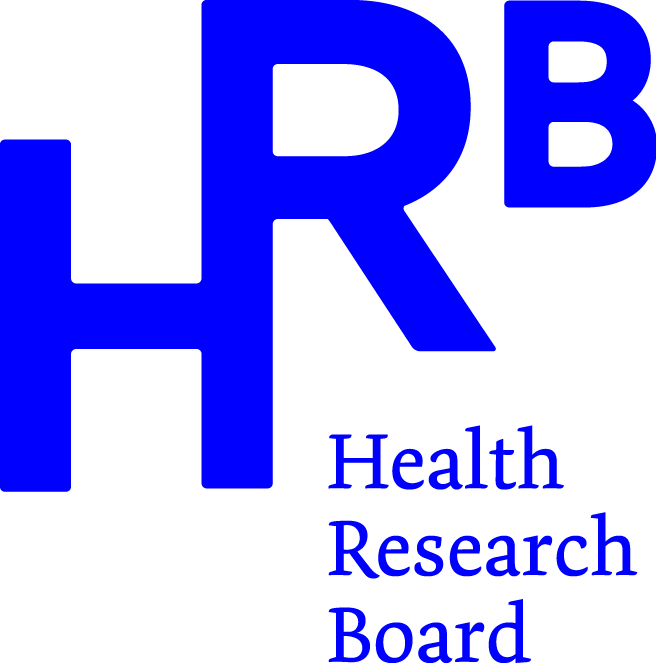 We also offer a wide range of advocacy services. H.O.P.E.’s free and confidential drop-in clinic is open from 10am ‘til 1pm, Monday to Friday. “A&L Goodbody has a reputation for providing legal advice of the highest quality available in Ireland, and internationally. Our primary office is in Dublin. Together with our office in Belfast, we advise clients on an “all Ireland” basis. We advise on the most challenging and complex assignments, for national and multinational corporations, financial institutions and Government. Our approach combines excellence of legal advice with commercial thinking. We consistently invest in and develop our business for the benefit of our clients. We regard our people as our greatest asset and the embodiment of the Firm’s culture & values. Founded in 1901 by Alfred and Lewis Goodbody, we are proud of our history and continue to maintain the values, principles and passion that have been the hallmarks of our Firm for more than 100 years. We love to get feedback, it helps us improve our service to the community. If you have a minute, we would greatly appreciate it if you write a few words about our service. Follow the link below to see our reviews on Google. Click ‘write review’ on the right hand side to add your own. Many thanks, from the team in H.O.P.E. Getting through addiction treatment may be one of the hardest things you ever do. It’s like learning how to do life all over again, but this time, you get an instruction manual. Once you graduate from rehab it will be up to you to take what you’ve learned and make it work in the real world. It can be done, but there are daily recovery behaviors you should practice that will help lead you to long-term sobriety. Incorporate these things into your daily practice and you’ll be on your way to avoiding relapse and living a successful life in sobriety. To be sober, you have to be rigorously honest with yourself and others. Chances are if you’ve been through rehab already, you’ve heard this phrase before. When I went through the 12 steps the first time and heard that I had to be completely honest, my first thought was, “oh crap.” Being honest about everything wasn’t my forte, but it became a way of life in sobriety. It’s almost like being sober and being honest go hand-in-hand. When you embark on your new life after addiction treatment, it’s imperative you keep being honest. Honesty will help keep you sober. Whether it’s the 12 step, SMART recovery, Refuge Recovery, Women for Sobriety, or any other of the countless addiction support groups that are available, I recommend you find one as soon as you leave rehab. This will keep you accountable to your sobriety and offer you a support group in your area where you live. There’s nothing that supports long-term sobriety better than a sober support system. You’ll be able to meet others who have been through similar situations you have and are also recovering from addiction. If have a problem or struggle in the future, these are groups of people you can turn to. I’ll be honest, I never meditated in my life before getting sober. It wasn’t something I ever thought about or would consider because I didn’t think it worked. When I sober and learned about what meditation is and that it never has to be done perfectly, like many of us think, I gave it a shot. It’s amazing the calmness and peace that comes through a short meditation. All you have to do is quiet the mind and everything becomes much more manageable. Lived meditation is just being in the moment and not wishing you were somewhere else or someone else. 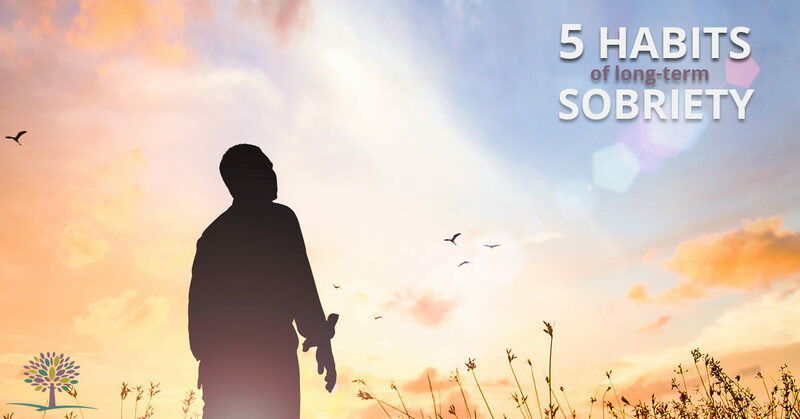 These are key aspects to successfully living in long-term sobriety; using your coping mechanisms at the right time and asking for guidance through meditation. Another seemingly simple behavior that is imperative to long-term sobriety is exercise. Exercise was always a part of my life, but it was something I had to do, not something I wanted to do. When I got sober exercise took on a whole new role. It gives me natural endorphins that make me feel good. It’s also a healthy outlet for my emotions. It keeps me sane. It also helps keep me on a schedule. You’ll be more likely to succeed in sobriety if exercise is part of your recovery plan. You might hear this in 12 step meetings, “you have to give it away to keep it.” This means sobriety, and what you’ve learned, should be given back. Helping others has been an integral part of my recovery. When I am of service to others – whether it’s my blog readers, other 12 step group members, or chairing a meeting at a rehab, I always find ways to give back. This 100 percent helps keep me sober. It allows me to come in contact with others who need help or might benefit from hearing my story. It reminds me where I came from and where I’m going. I find that being of service has been one component of my successful sobriety and I believe it will stay that way for years to come. These daily recovery behaviors will help you stay on the path to lifelong sobriety. A successful recovery program is made up of many different elements and it looks different for everyone. Find what works for you and put your recovery plan into action. What are sedatives and tranquillisers? ‘Sedatives’ and ‘tranquillisers’ are commonly used terms for a group of medicines which depress, slow down or calm the brain and central nervous system. Benzodiazepines (‘Benzos’) are the most common type of drug in this group, but other drugs with the same effects are also included. What do sedatives and tranquillisers do? How do we know how many people use sedatives or tranquillisers in Ireland? Every four years the National Advisory Committee on Drugs and Alcohol (NACDA) and the Northern Ireland Public Health Information and Research Branch (PHIRB) commission a survey of the general population to estimate the number of people in Ireland who use drugs and alcohol.² Face-to-face interviews take place with respondents aged 15+a normally resident in households in Ireland and Northern Ireland. This type of survey is not designed to include people who do not normally live in private households (such as prisoners or hostel dwellers). 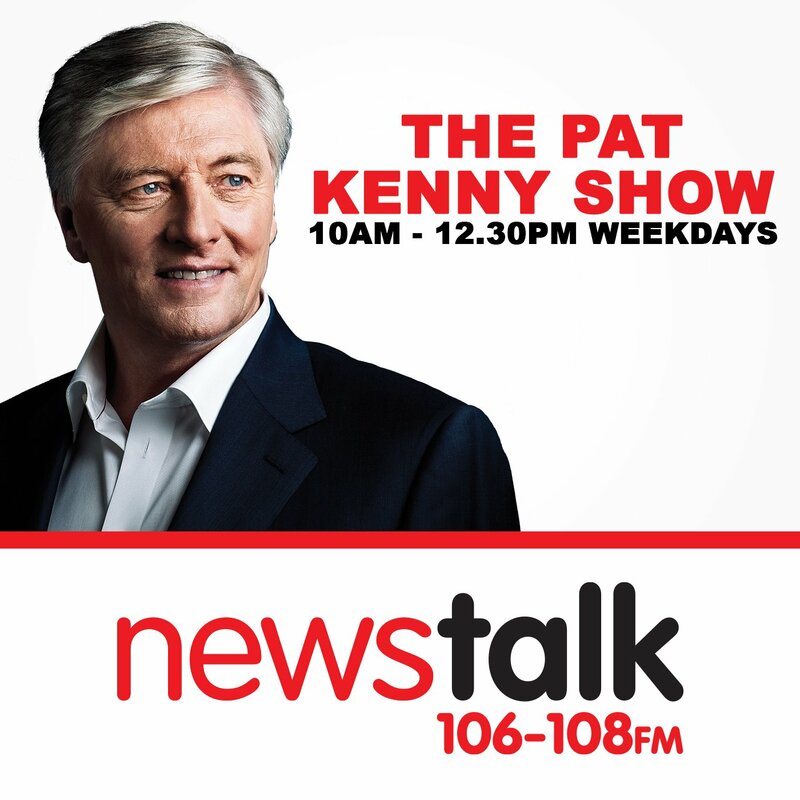 How many people use sedatives or tranquillisers in Ireland? 14.3% of the population had used sedatives or tranquillisers at least once. Lifetime usage of sedatives or tranquillisers is higher amongst females than males across all age groups. Use was higher among 65+ year-olds (21.4%) than all other age groups. The European School Survey Project on Alcohol and Other Drugs (ESPAD) collects comparable data on substance use among 15–16-year-old students in 30 countries. According to the 2015 ESPAD report, 11% of Irish students (aged 15–16) reported that they had taken prescribed tranquillisers or sedatives at some point in their lives, and a further 2.8% had taken them without a prescription. Of 37 students who used non-prescribed tranquilisers or sedatives, 28 were aged 14 – 16 and 3 reported being 11 years old or younger. 20% of respondents said it was fairly easy or very easy to obtain sedatives or tranquilisers. How many people receive treatment for sedative and tranquilliser use? 347 (42%) were new cases. 257 (31%) lived in Dublin. 50 (6%) were aged under 18 years; 577 (70%) were aged 18–34; 129 (15%) were aged 35–44; and 45 (5%) were aged 45–64. 589 (71%) used benzodiazepines with other drugs. 399 (48%) used benzodiazepines daily, 177 (21%) used it between two and six times per week, 57 (6%) used it once per week or less, and 150 (18%) had not used it in the last month. How many people die from misuse of sedatives and tranquillisers? involved. Benzodiazepines were the most common drug group involved in deaths involving more than one drug (poly-drug). Diazepam (a benzodiazepine) was the most common single prescription drug, implicated in one-third (32%) of all poisoning deaths. Zopiclone-related deaths (a nonbenzodiazepine sedative drug) increased by 41% between 2013 and 2014. According to the Hospital In-Patient Enquiry Scheme (HIPE), there were 4,233 cases of non-fatal overdose discharged from Irish hospitals in 2013. There was evidence of benzodiazepines in 19% (818) of cases of overdose. What does the law say about sedatives and tranquillisers? Under the Medicinal Products (Prescription and Control of Supply) Regulations 2003–2008, a prescription medication can only be supplied in accordance with a prescription, and the supply must be made from a registered pharmacy by or under the personal supervision of a registered pharmacist. It is illegal for prescription medicines to be supplied through mail-order or internet sites. A person who has in his possession a prescription medicine containing a substance controlled under the misuse of drugs legislation for the purpose of selling or otherwise supplying it is guilty of an offence under that legislation. Changes to regulations under the Misuse of Drugs (Amendment) Bill will introduce stricter controls on benzodiazepines and an initiative to tackle overprescribing. You can find more information about Irish drug laws, offences and penalties on the Citizens Information Board website. 2015 Garda annual report 749 grams of benzodiazepines were seized with a value of nearly one million euro. National Advisory Committee on Drugs & Public Health Information and Research Branch (2016) Prevalence of drug use and gambling in Ireland & drug use in Northern Ireland. Bulletin 1. Dublin: National Advisory Committee on Drugs and Alcohol. Taylor, Keishia and Babineau, Kate and Keogan, Sheila and Whelan, Ellen and Clancy, Luke (2016) ESPAD 2015: European Schools Project on Alcohol and Other Drugs in Ireland. Dublin: Department of Health. Treatment data HRB National Drugs Library interactive tables. Health Research Board. Irish National Focal Point to the European Monitoring Centre for Drugs and Drug Addiction. (2016) Ireland: national report for 2015 – harms and harm reduction. Dublin: Health Research Board. Health Research Board. Irish National Focal Point to the European Monitoring Centre for Drugs and Drug Addiction. (2016) Ireland: national report for 2015 – drug markets and crime. Dublin: Health Research Board. An Garda Siochana. (2016) An Garda Siochana: annual report 2015. An Garda Siochana, Dublin. As the main event of this festive season draws nearer, we would like to take a moment to wish all of our clients, partners, sister organisations, family and friends a very merry Christmas and a very happy and prosperous new year. In 2016 there were a lot of people and organisations that have helped us help the communities of Dublin’s north inner city and for that, we would like to say thank you. In the year that marks the centenary of the Easter Rebellion of 1916, this is but one of the many events that will enshrine 2016 in all of our memories. Dublin’s north inner city played host to numerous commemoration ceremonies on the run up to the centenary commemoration. Various community and state groups held many ceremonies in honour of those fought for the Irish Free State. With the local centenary celebrations underscored by the community deprivation and gangland feud killings, there was a scramble for change. Four of the local parishes came together in May and marched on the Home Monument for peace in the community. Government representatives met with community representatives in St. Laurence O’Toole national school to get an idea of issues facing the area. After the announcement of the community-based, government-led task force, the community came together to help each other in identifying issues and providing possible solutions to the new task force. An Taoiseach Enda Kenny & Minister for Public Expenditure Pascal Donohoe paid a visit to some of the smaller projects in the area. On a wet rainy day in August, there was a community day. Thanks to support from Croke Park, An Garda Síochana, Dublin City Council, Our Lady of Lourdes Church, the Crinan Youth Project and The Fire Station Artist Studio and Urban Soul the NIC saw its first free – hopefully annual – community day. After consulting the public on the forthcoming national drugs strategy, Minister Byrne, tasked with delivering the new national drug strategy, paid a visit to a number of local projects to get a first-hand view of the issues faced by projects around the country. As the year draws to a close, the weather gets colder and the need for compassion grows. With that in mind there a few special thanks we would like to make. Special thanks to Danny Cummins and his friends for their efforts for fundraising and collecting clothes for the homeless on the streets of Dublin. And to the Lotto and the Luas for supporting us with our client dinner. As well we would like to express special thanks to our friends in the Ripley Court Hotel for their endless efforts to support us support the community. Lastly, we would like to say thank you to everyone for helping HOPE help the community. Without all of your help, we would not be able to do the job we do. ‘Ní neart go cur le cheile – there is no strength without unity’. Merry Christmas from Everyone in H.O.P.E. Addiction (or its current term of substance use disorder) is a personal journey. A person takes the path of drug use for his own reasons and by following his personal risk factors. Even if his path of addiction follows the same path of others, he will be dealing with his own struggles, symptoms and scenarios. That’s why effective addiction treatment needs to address the needs of each individual – because not all paths of addiction look exactly the same, and people have different needs to address to become sober. But even though this struggle is part of an individual’s journey, an addicted person can’t say that she’s only hurting herself. Instead, the effects of the addiction are reverberating throughout the person’s family, whether that includes parents, siblings, a spouse and/or children. That’s why addiction is called “a family disease.” Everyone faces some effects of this problem. Addiction creates instability within the home and within the family unit. Instead of feeling safe and comfortable at home, the family members of an addicted person can feel uncertain, anxious and scared. They might be walking on eggshells waiting until anger strikes, witness arguing or take part in the arguing, and face the brunt of emotional and/or physical abuse. Family members can deal with an unhealthy environment that includes hiding habits, manipulation and other tactics from the addicted person. [In the United States] The National Council on Alcoholism and Drug Dependence, or NCADD, notes that family members tend to notice that the person’s actions don’t fit her words. The family can have to deal with mental and physical health problems associated with the addiction. In addition, the NCADD explains that everyday routines are often thrown off by addiction. It can be hard to count on the addicted person, which creates a rift in the relationship and the loved ones’ well-being. The home life can also be financially unstable because of the addiction. Income might go toward the substance use rather than enough food and other necessities. There might be worries about paying the bills and keeping the home. 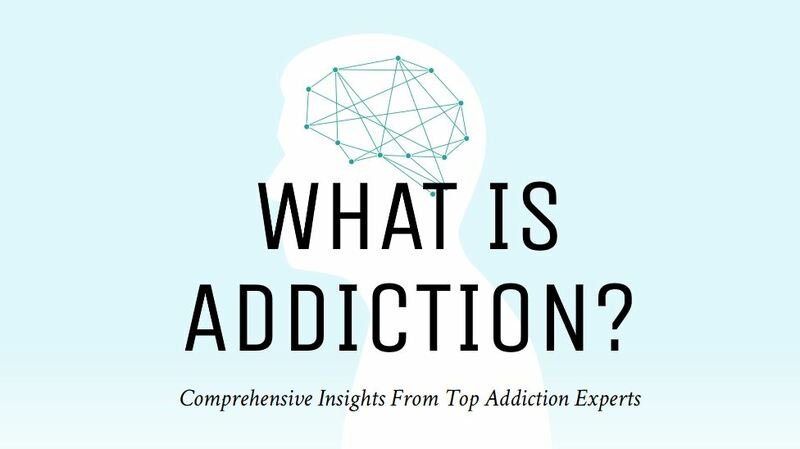 The addicted person may even lose his job because of the addiction and fail to contribute financially to the family, yet continue to add the burden of needing money for the substance. The family can be put into a lot of tough situations that they wouldn’t have been in without the addiction. Family members become affected by legal troubles and financial troubles. They might have to worry when their loved one doesn’t show up at home all night, face the consequences of reckless behavior and have to deal with their loved one’s declining health. These kinds of experiences create an unstable home environment that affects the family members’ mental health and ability to cope with life. And even though addiction involves the family members’ personal life, the effects extend beyond that. The problems caused by the addiction can affect children’s school performance and adults’ work performance. Spouses and parents may have to work harder to make up for financial problems, and children may exhibit behavioral problems. Loved ones may give up personal interests and friendships to focus on the home life and hide the problem. These are just some examples of how the effects of addiction can work their way into different aspects of the loved ones’ lives. Especially when the individuals are stuck in a house with someone who’s addicted, family members often develop unhealthy ways of dealing with the situation. They often try to hide the substance use from outsiders and they may be ashamed of the person. Family members often enable the person by providing money, buying the substances or offering support in other ways. In addition, family members often become codependent on the addicted person. David Sack, M.D., provided warning signs of this in an article for PsychCentral. These signs include putting the addicted person’s feelings first and the loved one making herself responsible for the life of the addicted person. In addition, the codependent person can have trouble with personal boundaries, have his own emotions and decisions follow those of the addicted person and follow unhealthy practices, such as giving up his own interests or friendships, to keep the relationship. Hopefully, the person with the substance problem will eventually get help to change his own life and improve the entire family. Family members can help the person seek treatment and go through the treatment and recovery process. When the addicted person does enter a treatment program, the family can often take part in their loved one’s program through family therapy. This type of therapy helps to heal the entire family unit and get it working on the same page toward a healthier future together. If the program does not offer family therapy, families could find a separate mental health or addiction professional who could offer this type of therapy to the group. Each person could also receive individual counseling if needed. In addition, family members can take part in supportive groups available to them. These include Adult Children of Alcoholics, Al-Anon and others. These groups give loved ones a space to work on themselves and how the family addiction affected their lives. Overall, addiction doesn’t just affect the addicted person. It affects everyone who is close to that person. Yet there is hope for the addicted individual to recover, and there is hope for the whole family. Dr. Dina Macaluso’s journey toward a career in psychology began in 1990. Since then, she has dedicated her life to helping people recover from addiction and mental health issues. 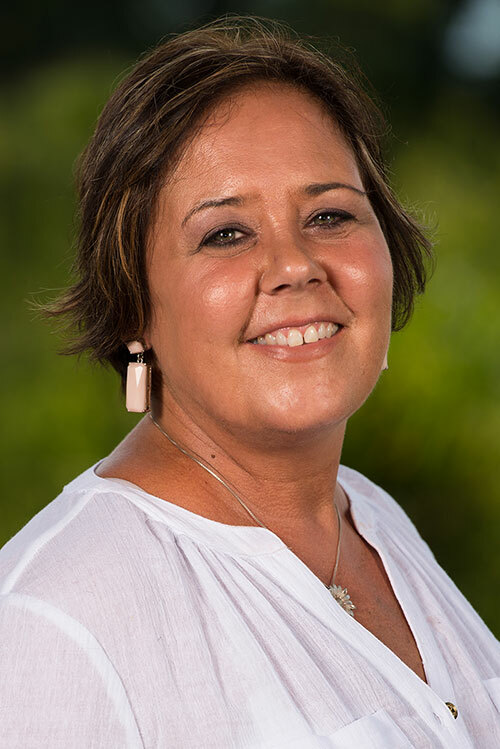 Dr. Macaluso holds a doctorate degree in psychology, a master’s degree in sociology and marriage and family therapy, and a bachelor’s degree in psychology. She is licensed in the state of Florida as a mental health counselor. Additionally, Dr. Macaluso is working on her certification as an addiction counselor. She currently is the Clinical Director at Lumiere Healing Centers Florida Location. Addiction can be a whirlwind of destruction, highs, lows, and emotions run riot. Why do people become addicted? That’s the million-dollar question and it’s different for everyone. It can depend on genetics, environment, trauma, and even mental illness. It’s not uncommon to hear that some people affected by a substance use disorder have been self-medicating. What does self-medicating mean? Is it something everyone does? I believe it is a component to many people’s using. We are convinced in today’s world that we should not feel pain which leads us to numb ourselves. Let’s explore exactly what self-medication is and why we do it. Google defines self-medication as an act of choosing and taking medications by oneself instead of by prescription or under the recommendations of a doctor or other medical professional. Their second definition is, “taking addictive or habituating drugs to relieve stress or other conditions.” It doesn’t always have to be addictive drugs; self-medicating can also refer to taking over-the-counter medication to treat ailments such as a headache or fever. But in the case of a substance use disorder, self-medicating is a coping mechanism and an unhealthy one at that. When we run into tough problems in our lives or we feel uncomfortable due to pain and emotions, our first instinct may be to try to run away from these feelings. What better way to do that than with drugs and alcohol? I believe many people who have an addiction are attempting to alter their reality in some way, for some reason. You might have back pain and to deal with it you have three beers every night. You may have a loved one who just passed away and the emotional depth of your pain won’t subside so you take Percocet every day. You might have a big exam coming up which your job depends on so you take Adderall to help you concentrate. You just broke up with your significant other and that’s why you went to happy hour every day this week. These are all common examples of self-medicating. In our society where alcohol is promoted on television and online relentlessly, it’s no wonder a martini is the first thing we turn to when we feel pain. Self-medicating is a learned human a behavior. If it’s not a healthy way to cope, why do we do it? How do we learn to self-medicate? We might have seen others doing it around us. We live in a society where pain is not an emotion that wants to be dealt with. But I believe we also self-medicate because it works. It works for a time until it doesn’t anymore. The thing about self-medicating is that it doesn’t remove the pain from our lives. It almost never changes the situation or emotions that we are required to deal with. That’s why as a part of recovery, we are required to learn new coping mechanisms and the goal is to learn how to deal with life on life’s terms. It’s unrealistic to think that nothing bad will ever happen to us in our lives and that we can live pain-free 100 percent of the time. What we can do is learn to live with the pain and work on our internal selves and how we process pain and how to manage it. If self-medication works, why should you stop doing it? How can we stop self-medicating? The reality is self-medicating can be harmful. This type of coping mechanism can lead to addiction and can exacerbate an already troublesome issue with dangerous substances like drugs and alcohol. Mixed medications. Using medications that may interact could cause an accidental overdose or death. Inaccurate medical diagnosis. If you aren’t a medical professional, you could be misdiagnosing yourself and mistreating yourself with certain medications. Covering symptoms. By self-medicating you could actually be covering up symptoms that are worse than they appear. It may mask a bigger problem. Delaying real medical care. Just like with an inaccurate diagnosis, delaying real medical care can be risky. You may be missing something more severe, or could put off getting help until something is much worse. Of course, any time you self-medicate with dangerous substances like alcohol and drugs, you are at a higher risk for developing an addiction. Short-term solution. As I mentioned earlier, self-medication is only a short-term solution. It doesn’t ever get to the root of any issue. It can make you feel better for a time, but in the end, it doesn’t remove the pain from your life. While you may believe self-medication is an effective strategy, it can do more damage than good. In order to leave behind these risks, we must stop self-medicating. If you know you’re using drugs and alcohol to deal with stress, emotions, or everyday life, recovery might be the best path for you. Self-medication won’t be able to last you your whole life through. Recovery on the other hand, can. There are many options on how to start your life in recovery: addiction treatment, 12 step groups, SMART recovery, recovery coaches, and more. The beauty of recovery is getting in touch with your inner self, learning new ways to cope, and how to be a functioning member of society who doesn’t need to self-medicate in order to live. Recovery allows us to be in touch with our emotions, but not overwhelmed by them. It can teach us why we drank and used in the first place and how to move on from a life ruled by substances. If self-medication has been your way of dealing with anything life throws at you and you are still unhappy, it’s likely you need a change. Recovery is the greatest change anyone can make and most important, it’s a lifelong solution. Leaving self-medication behind and trying sobriety could be the best decision you ever make and it may be the solution that you’ve been searching for all along. We at HOPE towers are busy planning a wide variety of RECOVERY promoting events. 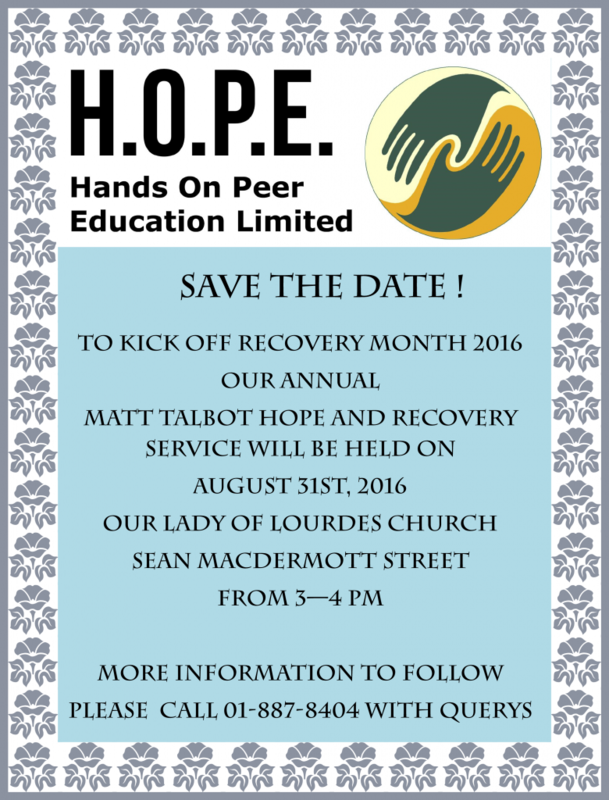 The biggest, of course, being RECOVERY MONTH 2016! More information to follow, but for now please SAVE THE DATE! Did you know that the brain can heal itself? Not only can the brain heal itself, it can do a pretty good job at it too! That is of course once it is provided with the right materials and time to heal. Dr. Constance Scharff in Psychology Today highlights how it was once considered a fact, that the once the brain was damaged, it could not be repaired. However, breakthroughs in neuroscientific research have proven that this is in fact, not true. Though individual neurons might be damaged beyond repair, the brain attempts to heal itself when damaged by making new connections or new neural pathways as work-arounds for the damage. This is called neuroplasticity, neuro (brain/nerve/neuron) and plasticity (moldability). Based on the latest neuroscientific research Dr. Scharff argues that abstinence is the best choice for recovery because the old neuropathways, the old links between addiction and pleasure are still there… It doesn’t take much to jump start the old habit. The brain gets trained to do a particular behavior – use drugs or alcohol or gambling – eventually to the exclusion of all else. BUT, in treatment, we can retrain the brain, that is develop a new pathway that supports recovery. With intensive[…] interventions, we strengthen the new “recovery” loop within the brain. The brain then learns to enjoy recovery, those things that give us pleasure in our sober lives – family, work, interpersonal interactions. We retrain the brain and thus change our lives. Alta Mira has produced a very informative infographic detailing neuroplasticity in terms of addiction and recovery. Author HOPE Hands On Peer EducationPosted on May 18, 2016 Categories Addiction TreatmentTags Abstinence, Addiction, Addiction Treatment, Brain, Hands On Peer Education, HOPE, HOPE Project, Neuroplasticity, RecoveryLeave a comment on Did you know that the brain can heal itself?